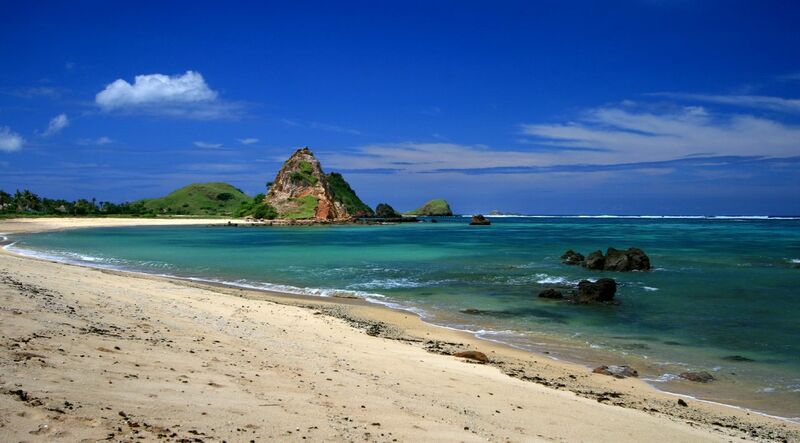 Senggigi Beach in Lombok, not in Bali. Lombok Island in the east of Bali, was chosen as the winner in the international arena World's Best Halal Travel Summit in Abu Dhabi, United Arab Emirates (UAE). Lombok and Bali each other. Lombok Island ranks first in two categories namely, World's Best Honeymoon Destination Halal and Halal World's Best Tourism Destination. This victory is a boon obtained Lombok Island. Surely become the pride of being able to compete with the famous country such as Turkey and Abu Dhabi. This victory is expected to be the motivation for the government and the people of Lombok to keep the preservation and natural beauty. World's Halal Travel Summit Award is a competition held by the government halal tourism United Arab Emirates (UAE), and was followed by more than 200 countries worldwide. In the category of Wolrd's Best Halal honemoon Destination, Lombok Island compete with Abu Dhabi, the UAE and Antalya in Turkey. As for the category of World's Best Halal Tourism Destination, Lombok competing with Kuala Lumpur, Malaysia and Abu Dhabi, UAE. Lombok is in the position of most of the countries in the Middle East, Abu Dhabi (UAE), Amman (Jordan), Antalya (Turkey), Cairo (Egypt), Doha (Qatar), Istanbul (Turkey), Kuala Lumpur (Malaysia), Marrakech (Morocco, and Tehran (Iran).